A system designed to minimize risk in the shipping industry using real-time data and machine learning. 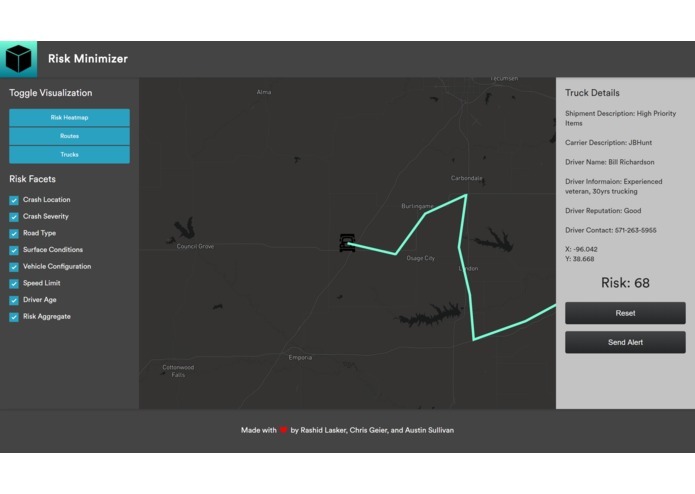 Predicting and visualizing trucking risks using machine learning. Why is insurance important to truckers? 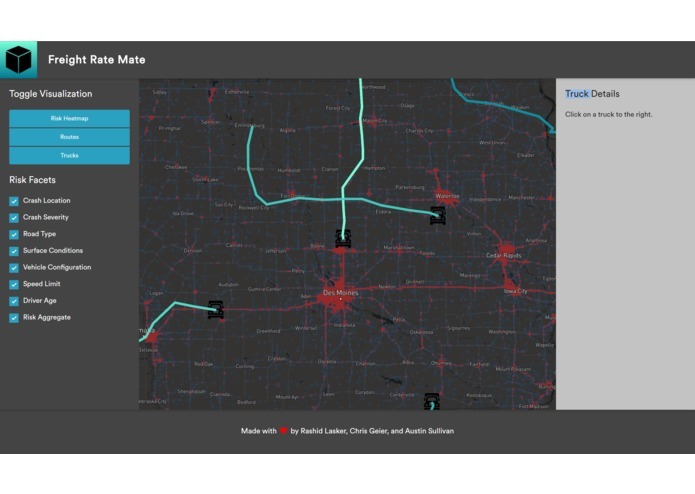 I used the Mapbox GL SDK to create the heatmap and real-time travel visualization. 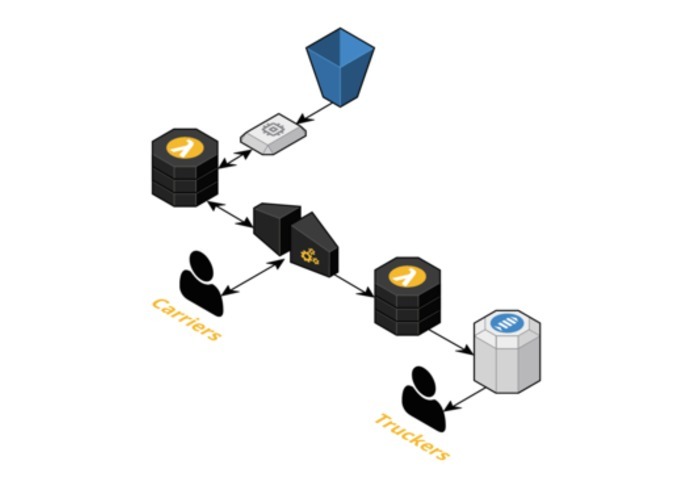 I also worked on routing API calls and manipulating the data that came from them. I'm a second-year at UVA majoring in CS. I'm primarily interested in machine learning, design and full-stack development. I worked on cleaning and preparing the data, as well as the RGBoost regression model. I also used AWS SNS and Lambdas to enable text message notifications with the click of a button. I worked on integrating AWS into the visualization, utilizing Lambda, API Gateway, and real time machine learning learning.